Get a cool fan article about the cult science fiction movie by Ridley Scott with our Alien - Free Hugs T-Shirt! The shirt with a facehugger as motive is an absolute must-have for all SciFi fans and collectors! The Alien - Free Hugs T-Shirt captivates with its cool design. 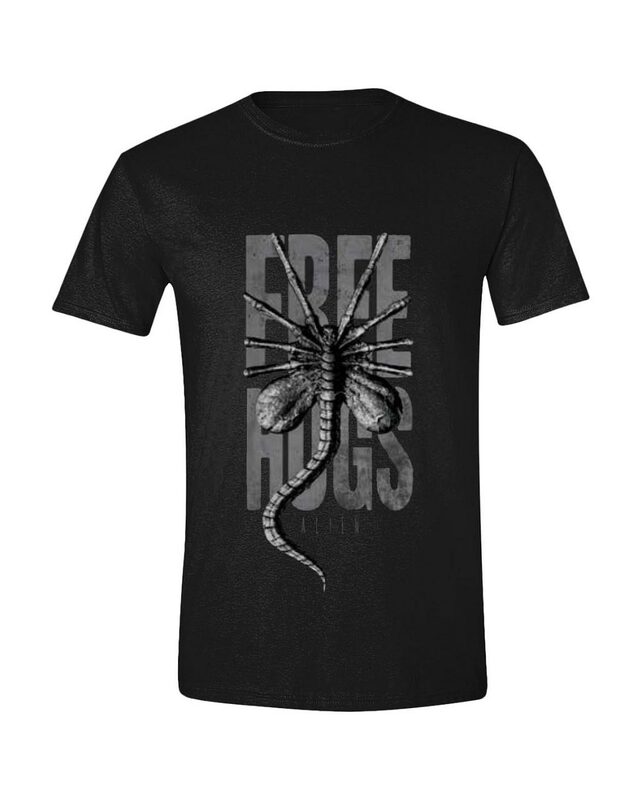 Appropriately kept in black, the fan shirt in grey gradations shows a multi-legged face hugger embracing the lettering "Free Hugs". The SciFi fan shirt is made of cotton and is therefore comfortable to wear. We'Alien Earsve got more alien fan merchandise like that at Horror-Shop.com! The article is for adults and not a toy. Not suitable for children under 3 years. May contain small parts that may be swallowed - danger of suffocation. Keep away from fire and open flames.